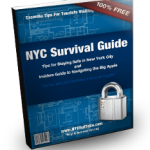 Get a FREE ebook "New York City Survival Guide"
and a lot more. Completely FREE. Absolutely no spam, guaranteed.